OBSERVER Photo by Diane R. Chodan Members of the Dunkirk Senior Citizens who celebrated June birthdays are pictured left to right. Standing: Judi Perry, Pat Kibbe, Donna Messina, Janet Jagoda, Greg Sek, Duane Peterson, and Sharon Stevens. Seated: Robin Carr, Jeanne Hauser, Phyllis Laurito, Betsy Standera, Mary Ann Corsoro, and Linda Riley. 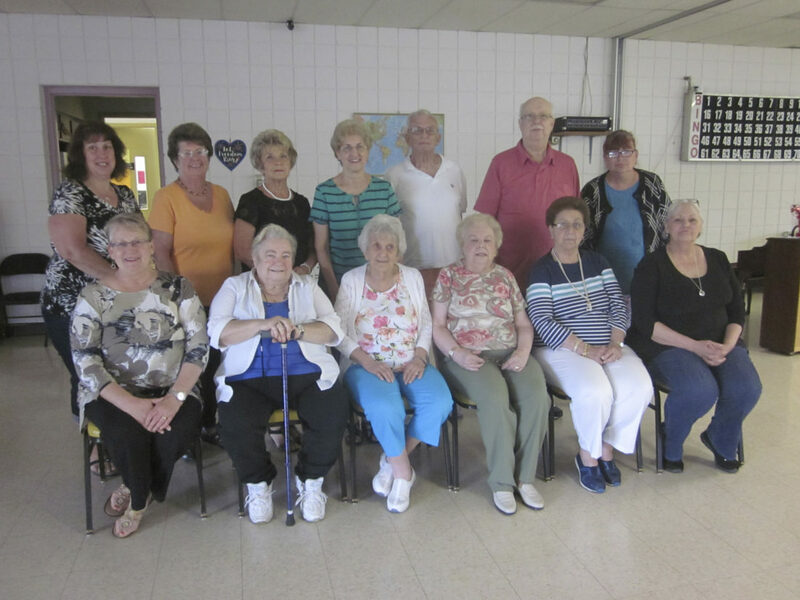 Each month the organization holds a luncheon for those who observe birthdays in that month. This month the menu was green salad, pasta salad, assorted wraps and cake and ice cream for dessert.